One of the Indian capital's most elegant old mansions - recently restored to its former glory - is a symbol of what can and should be done throughout the country. 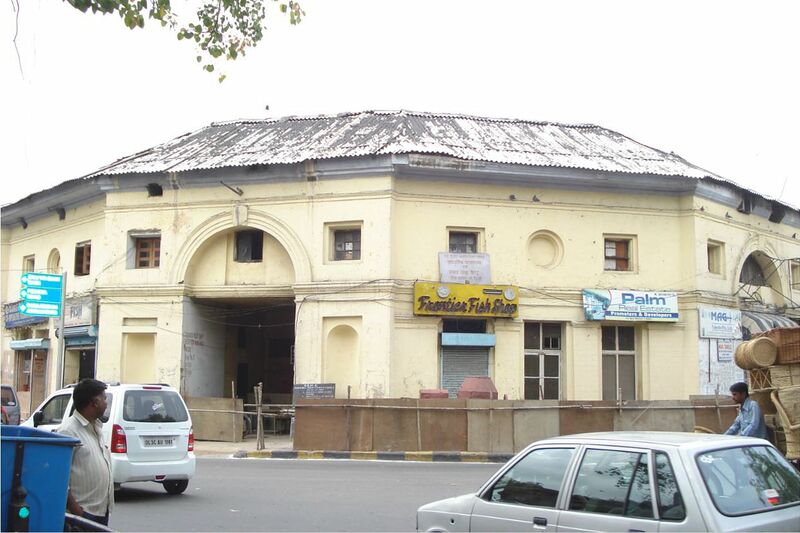 Bikaner House was known for decades simply as a bus stop for travellers heading to Rajasthan. Every day, passengers would walk through the massive wrought iron gates to buy bus tickets at the outdoor kiosk, unaware of the inner splendour of the building because they were not allowed inside. It was rescued from this shabby condition by its owner, the Rajasthan state government, which decided 18 months ago to renovate and open it to the public as a social and cultural centre - and a fitting gateway to the historic state. The country has only a handful of listed buildings, and many of New Delhi's historic buildings are used as government offices instead of being treated as heritage property and something that can be enjoyed by the Indian public. A landmark building in Chandni Chowk, Old Delhi. It used to be the seat of the municipal corporation for the city from 1866 during the British Raj. In 2009, the offices moved to a new building. 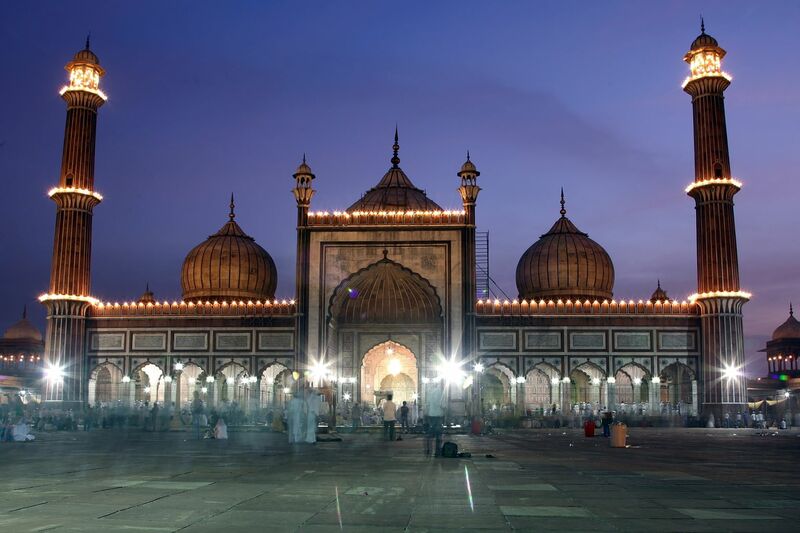 Built by Mughal emperor Shah Jahan in the 17th century, this massive mosque has not undergone any conservation. The courtyard alone can hold 25,000 people. An Edwardian building situated on a busy roundabout - "gole" means "round" in Hindi. It is one of the city's surviving colonial markets and has a distinctive octagonal shape. A sandstone and marble mausoleum for the Muslim ruler Safdarjung, it is not as stunning as Humayun's garden tomb, built in 1570, but has a similar style and a charm of its own. It is also located in landscaped gardens. Founded in 1696, the college was originally a madrasah but was reorganised by the East India Company in 1828 to provide an English education and "to uplift" what the company saw as the "uneducated and half-barbarous people of India". A handsome red stone building, it is desperately in need of a facelift. The oldest station in the city, it handles 200 trains a day and is struggling to avoid decrepitude. "We didn't have to do anything structural but we did whatever was necessary to restore the dignity it had lost," said conservation architect Abha Narain Lambah, who led the painstaking work on the building. Until about 10 years ago, India, which is vast, had only some 3,000 buildings that were listed. England, a tiny island, has 100,000 listed buildings. 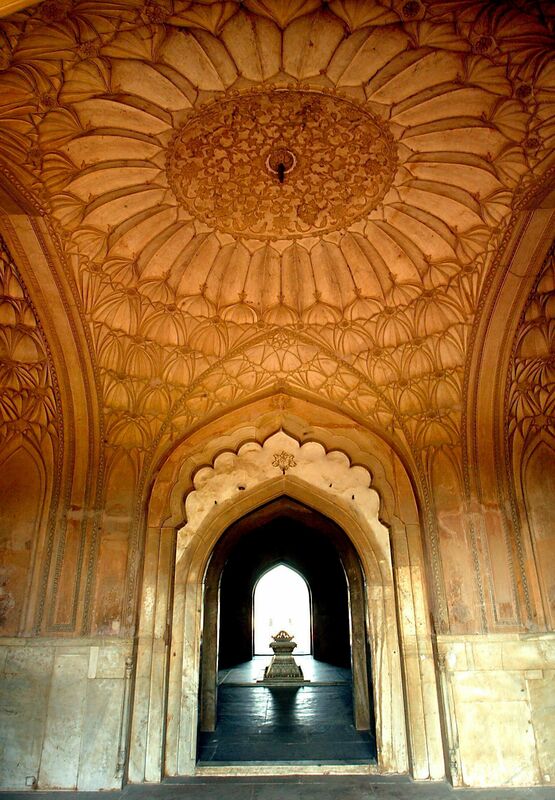 Most of the focus in India, till recently, has been on preserving historic monuments such as tombs and forts rather than on historic public buildings. MS ABHA NARAIN LAMBAH, a conservation architect on why so few heritage buildings in India are listed for preservation. Ms Lambah and her team worked on the old rainwater pipes embedded in brick masonry that had choked and leaked, causing damp. They stripped off oil paint on walls, which trapped water that leaked in, and replaced it with traditional lime-based paint that lets the walls of an old building breathe. They repaired and secured the cantilevered stone "chajjas" (horizontal projections along the external wall) that were disintegrating, modernised the bathrooms, cleaned the marble flooring and chandeliers, waterproofed the roof and landscaped the gardens. Instead of a shabby booking office, there is a boutique, and a cafe and restaurant are opening soon. Cultural events are already being held in the former conference and dining halls. Said media studies student Bharati Pasricha: "I came for a talk by American photographer Steve McCurry and I couldn't believe this gem has been here all this time. The only problem is that its high ceilings mean the acoustics are poor." Ms Lambah said she is happy to see the building buzzing with chat and activity, and wants the neo-classical, early art deco Bikaner House to be a magnet for Indians and foreign tourists. "There are very few places in this city where you can sit and have a coffee in a beautiful historic building. Bikaner House is perfect for this," she said. The origins of the 1930s building go back to the colonial era. Under the British Raj, the maharajas used to come from all over India to visit New Delhi to meet the viceroy. Some of them, including the Maharaja of Bikaner, a city in Rajasthan, built grand mansions for their stay. After the privy purse for the princely states was abolished in 1971, the Rajasthan government took over Bikaner House. If the renovation of Bikaner House is a success, it is a rare one. The vast majority of heritage buildings used by the government have been neglected, misused and abused. This lack of care and respect for public buildings can be seen all over the capital - and across India. The civil servants who work inside them appear oblivious to the heritage. Random alterations are done, with disregard for the building's integrity or original design. Verandahs have been covered and turned into offices. Partitions have maimed spacious rooms. Fluorescent tubes have ousted old chandeliers. The colonnades and verandahs that wrapped around some buildings have been bricked up and plastered. And dotting every room and hallway in every public building is the ugly but ubiquitous and much-loved piece of Indian furniture - the Godrej steel cupboard - used for storing documents and files. The apathy towards architectural heritage is found at the government level and also among ordinary Indians, who tend to take the historic buildings and monuments around them for granted. In neighbourhoods all over New Delhi, ancient tombs and mosques, some more than 800 years old, lie in ruins, invaded by makeshift sheds, electrical boxes, fences, toilets and rubbish dumps. Some are used as sheds for cows or for storing raw materials. In most countries, they would be treasured as priceless heritage spots for tourists, and command a hefty entrance price. Why such apathy? Ms Lambah's theory is that Indians are surrounded by an excess of ancient architecture and monuments. That, combined with a lack of appreciation for heritage, is why, she said, so few are even listed for preservation. "Until about 10 years ago, India, which is vast, had only some 3,000 buildings that were listed. England, a tiny island, has 100,000 listed buildings. Most of the focus in India, till recently, has been on preserving historic monuments such as tombs and forts rather than on historic public buildings," she said. In Mumbai, where her firm is based, Ms Lambah said she finds that decision-making on the conservation of buildings is faster than in New Delhi, where decisions can take an eternity. The residents of Old Delhi, the Muslim quarter from where the Mughals ruled the country, live in what is effectively a slum and can vouch for the long delays. They have been hearing for over a decade about how the area will be transformed and turned into a fabulous heritage quarter. To date, not one square foot of this overcrowded, chaotic and dirty quarter has been touched. Ms Lambah, too, has been waiting 10 years for the go-ahead to renovate Gole Market, a piece of Edwardian architecture in New Delhi. "The red tape in Delhi is awful. Things are faster in Mumbai, and Mumbai is also moving ahead because in 1995, the city started identifying and categorising buildings as part of a new regime of heritage regulations," she said. One of her projects in Mumbai is the Victorian, Gothic-style municipal corporation building, built in the 19th century. Ms Lambah and her team conserved and highlighted its original features but also upgraded it to provide the corporation's staff with a modern working environment. As a landmark building in the city, it has regained its pride. At Bikaner House, meanwhile, curious bystanders walk in hesitantly, wondering why the former "bus stand" now seems to be a fashionable hub, with the city's elite swanning in and out. "I had no idea our 'babus' (civil servants) used to work in such elegant surroundings. It was obviously a well-kept secret," said graphic designer Ashutosh Sodhi, with a grin.